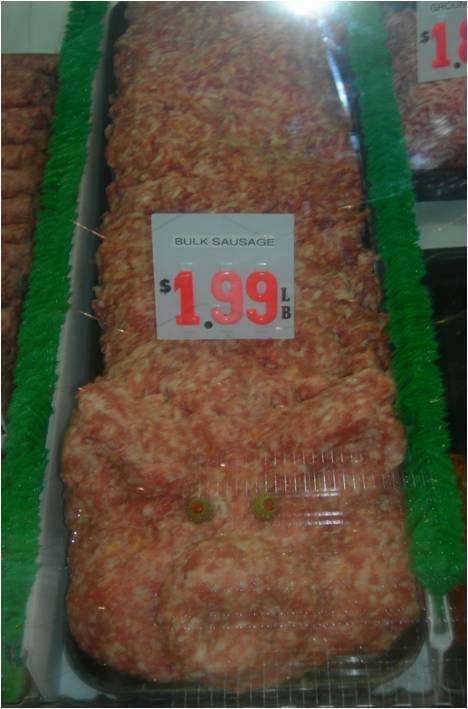 Steve’s Country Market takes pride in their meat department. 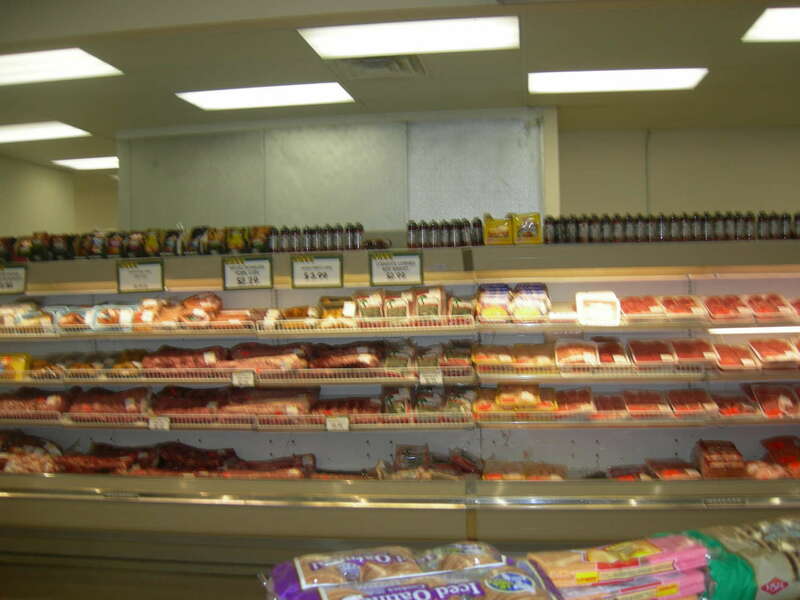 They offer a full service 44’ meat counter and courteous associates that will custom cut your meat selection, or you can select your ideal meat cut right out of the meat cases. Buy as much or as little as you need. There are many family packs available. Steve’s Own Market Made Brats, in many flavors, are a favorite and great on the grill. Be sure to try the various kinds of flavors of Steve’s Own Jerky. They serve USDA Choice cuts of beef, US grade A pork and US Grade A chicken is sold both fresh and frozen. Be sure to check out the weekly ad specials. Steve’s offers a great selection of frozen seafood including cod, tilapia, shrimp, scallops, lobster, crab legs and more. 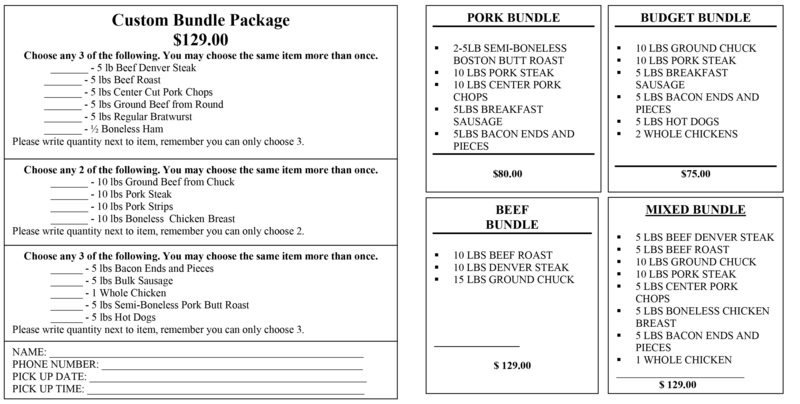 Save money and time buying your meat in bundles at Steve’s Country Market. Call 989-539-3110 to order yours today.